Every family has a favorite chicken curry that we love! 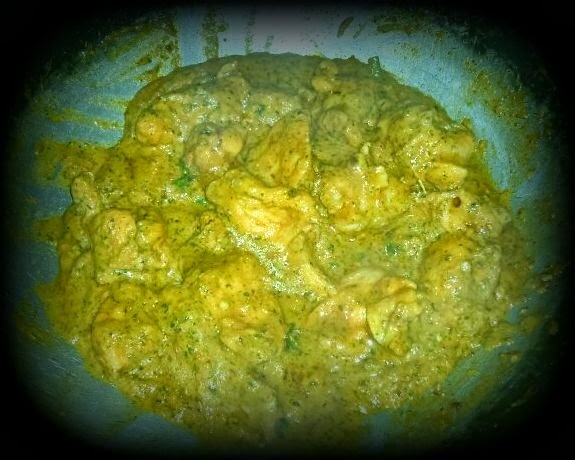 This is my families spicy chicken korma!! 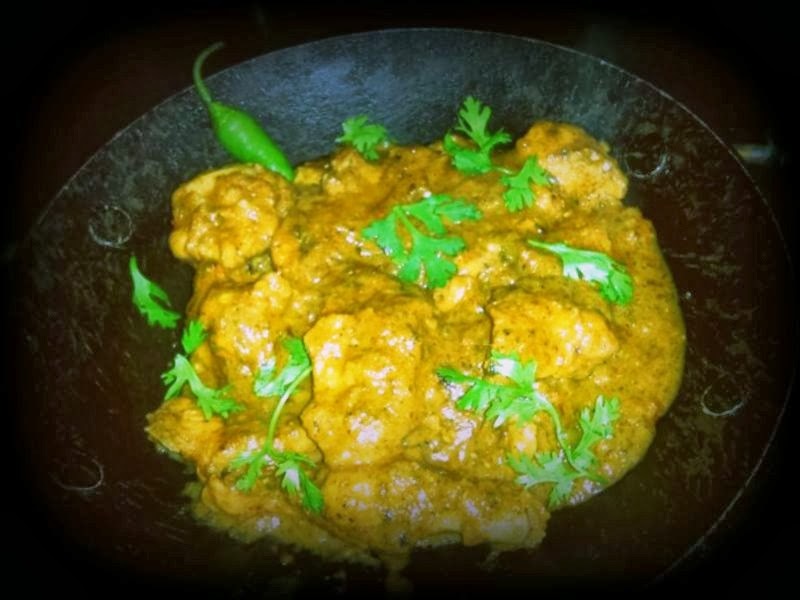 It doesn’t take a lot of time and effort to make, so if you are in mood to cook quick chicken curry try this. 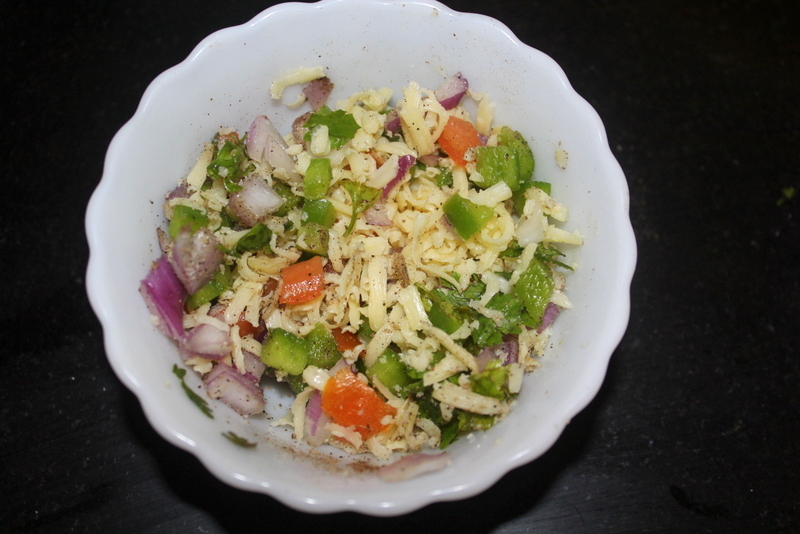 At home we love our food spicy so please adjust the masalas according to your taste. Wash chicken with a pinch salt in the water to remove the raw smell. Then and add ginger garlic paste,chilli powder,salt,turmeric powder and marinate for 15 minutes. 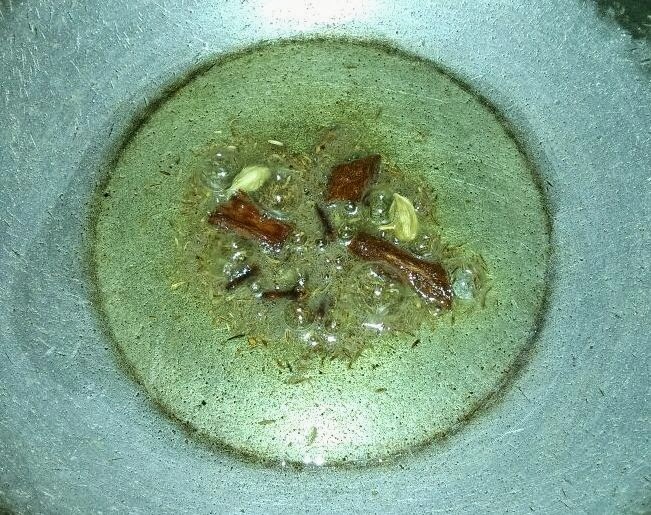 Meanwhile, In a non stick kadai add oil and all the dry masalas in the ingredients. Once they start to splutter add onions, tomatoes, green chillies,coriander and cook them untill they change colour and turn soft. 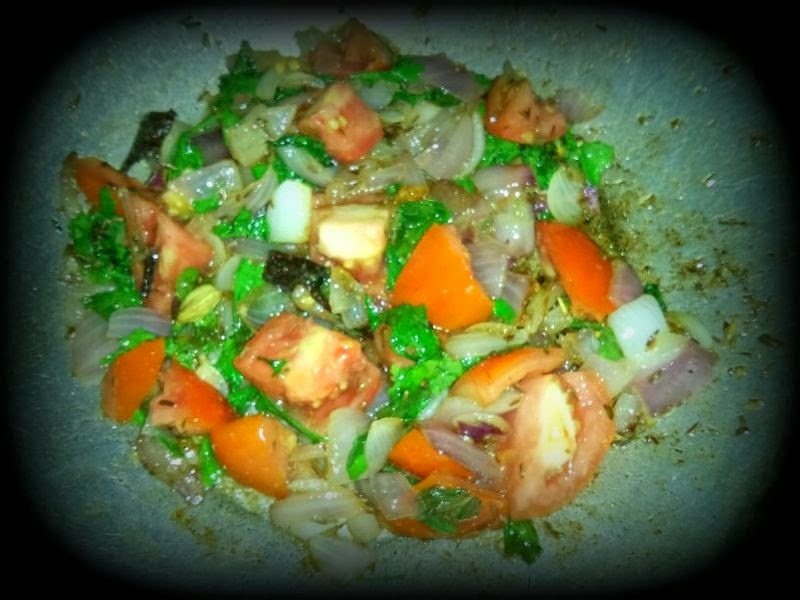 In the same kadai now add some more oil and add the marinated chicken with few coriander leaves, close the lid and cook on high flame for 10 minutes. Then add the masala paste, lemon juice and mix well with chicken, cook for another 15 minutes on medium flame. 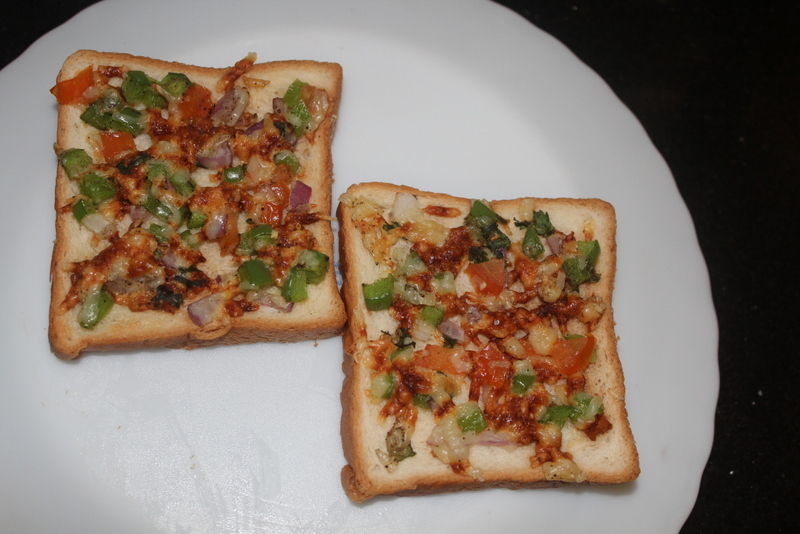 Garnish with some fried onion and coriander and serve it with hot rotis! 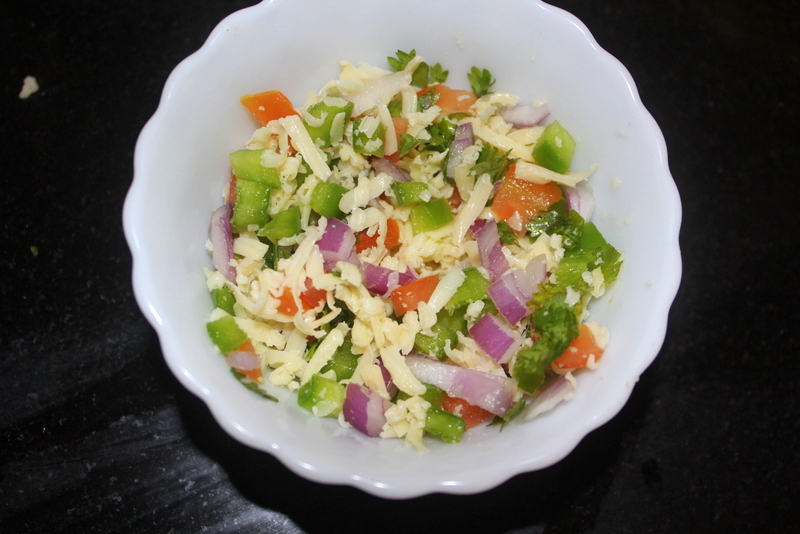 Finely chop all veggies and mix them together in a bowl, add cheese, pepper, salt and mix gently. 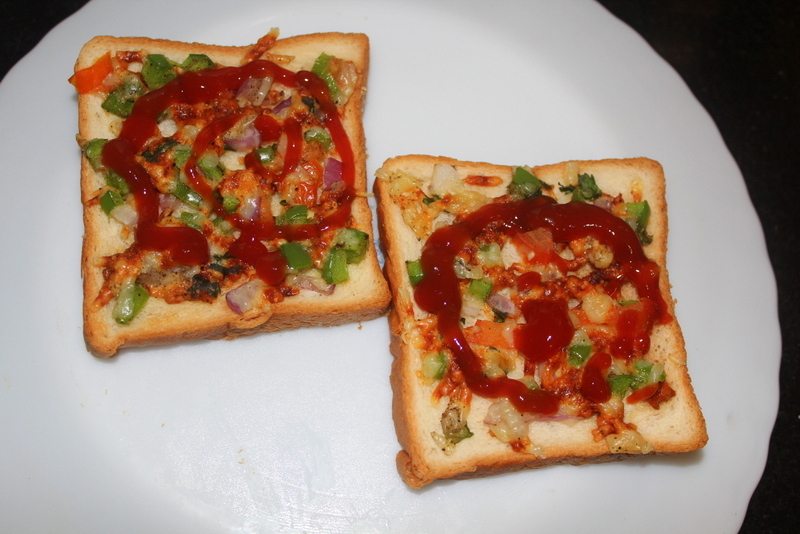 Take a slice of bread and spread the filling evenly and sprinkle some more cheese if you want. Preheat oven at 170 C and bake the bread slices till the cheese melts, for about 5 minutes. 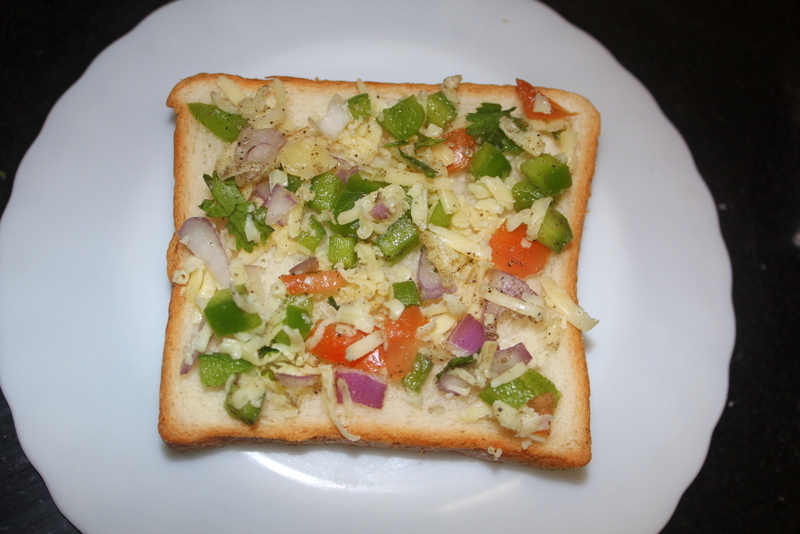 If you are making it on the stove, add some butter to a non stick pan and fry the bread slices till the cheese melts. I just freak out on the dhaba food, the rustic flavors are to die for. We usually travel a lot to Hyderabad by car and I always look forward for the long drive and mostly stopping by at a dhaba and enjoying their heavenly food is the best part! 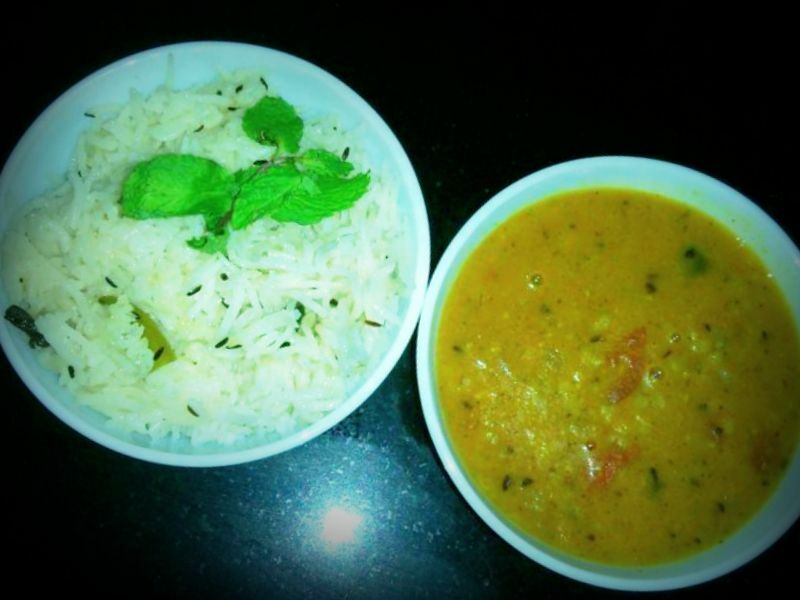 This dal fry is one dish that leaves me salivating always! Again its a pretty simple dish and does not take a lot of time to make. Wash and soak moong dal for 15 to 20 mins. Drain the water and pressure cook dal for 2 whistles. 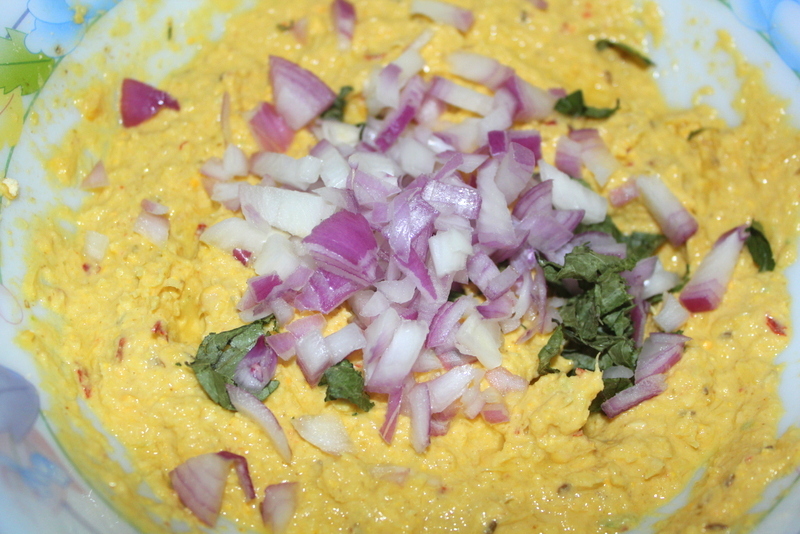 moong dal cooks quickly, it doesn’t take time as the regular dal. Dry roast cumin seeds for a minute. 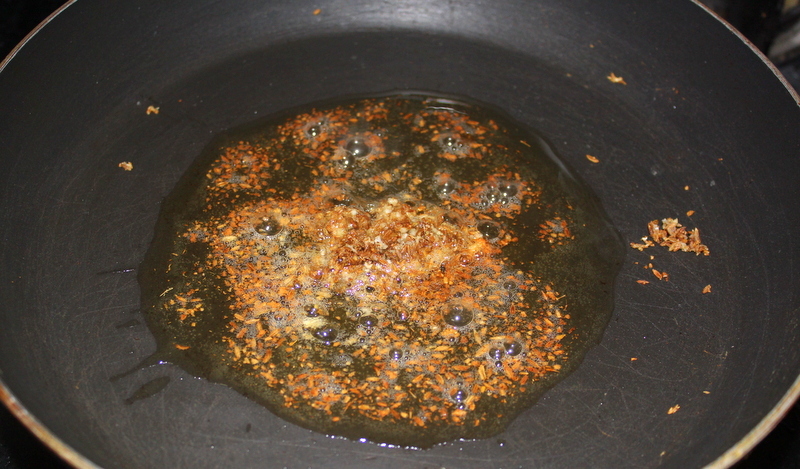 Coarsely grind cumin and garlic together.In a non stick pan, add ghee and oil. Now add the cumin and garlic paste and saute for few minutes. Keep stirring continuously to avoid getting them burnt. 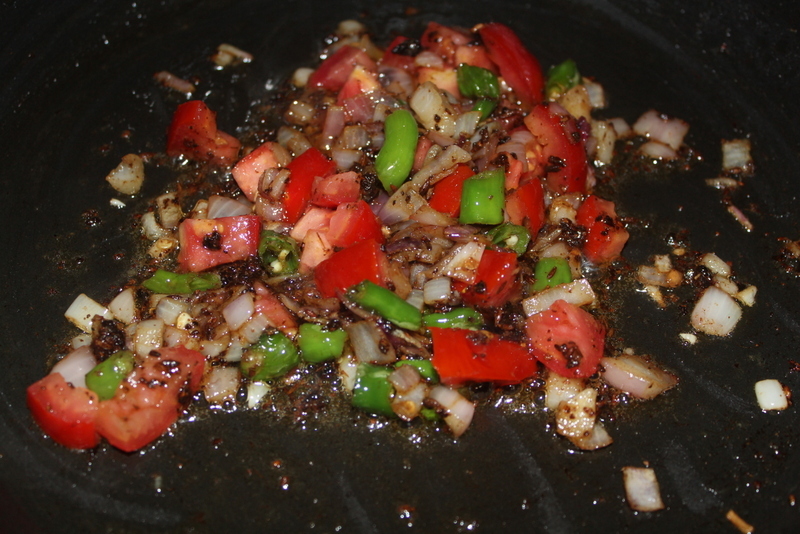 Once they change colour add onions, curry leaves, green chillies, ginger paste and fry for few minutes. 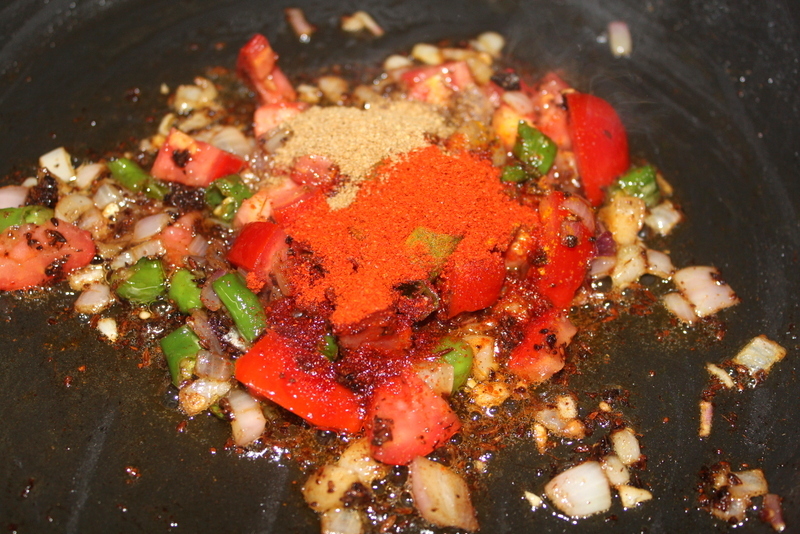 Once onions turn in golden colour add tomato and the dry masala powders mentioned under ingredients. Cover with a lid and let it cook for a minute. 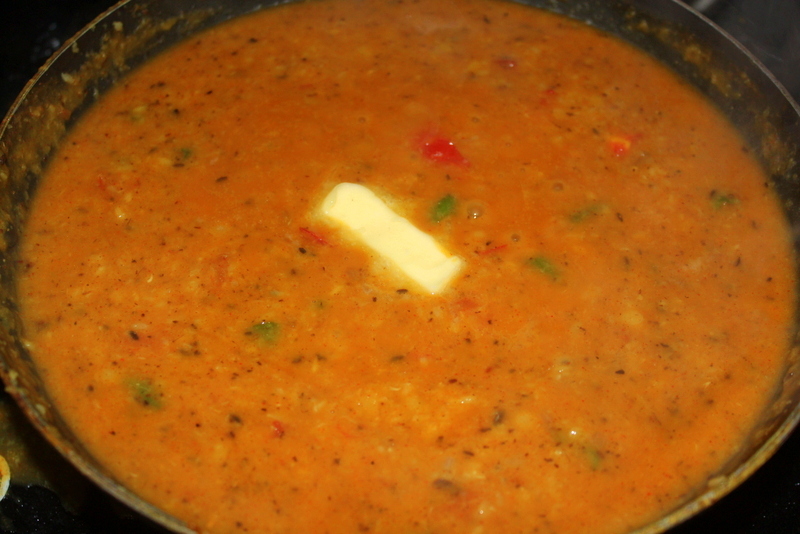 Add the cooked dal and mix well with the masala. Add water according to the consistency you want. Cover the lid and cook on simmer for few minutes. Add a dollop of butter and you can put tadka with mustard seeds and some hing if you wish. 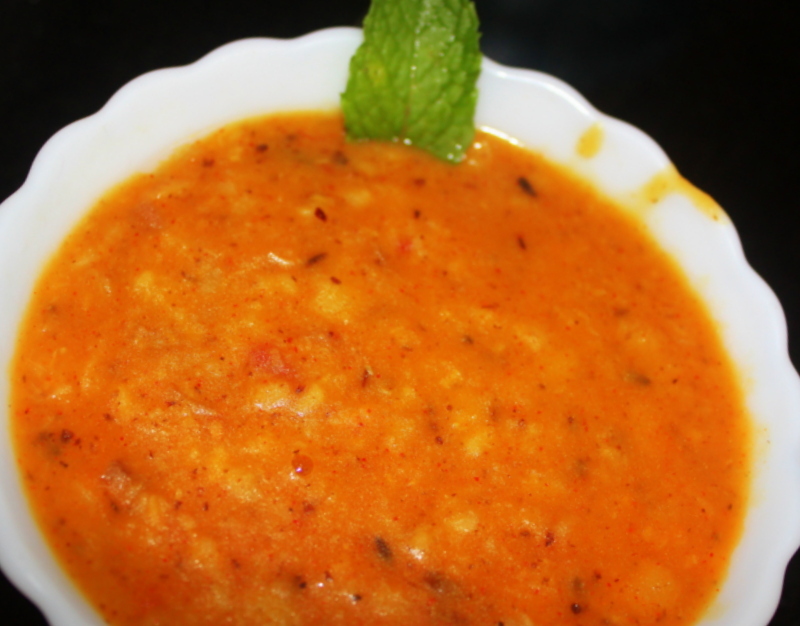 Garnish with fresh coriander and serve hot with Jeera rice or Roti! 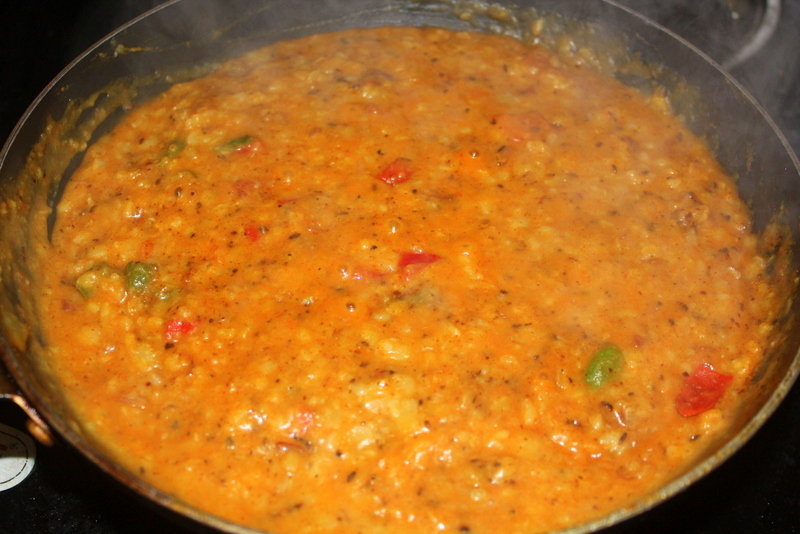 You can cook this dal only in ghee to make it more rich. Rain is one of the most beautiful gift from nature. I don’t know why but it does have a calming effect on you. Every time it rains all I want to do is have hot coffee with some spicy pakodas, cuddle in a warm blanket and watch some feel good movie with your loved ones! 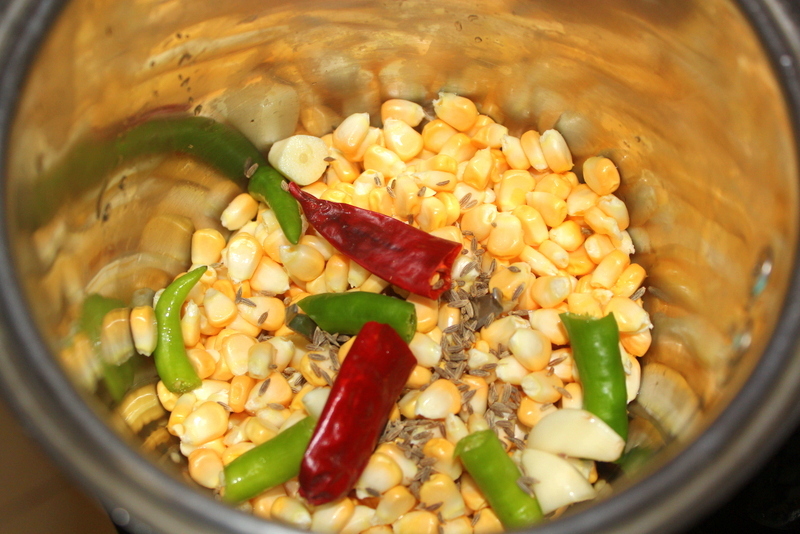 Coarsely grind corn, chillies,cumin seeds and garlic in a mixer jar, add very little water if needed. 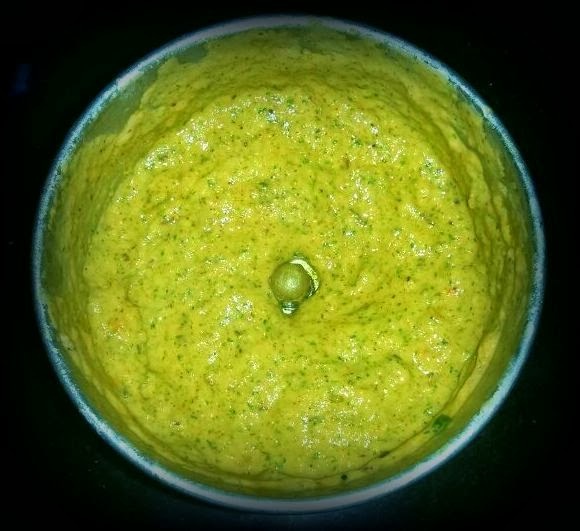 Take it into a mixing bowl and add gg paste, gram flour, rice flour, onions, curry leaves and chopped coriander. 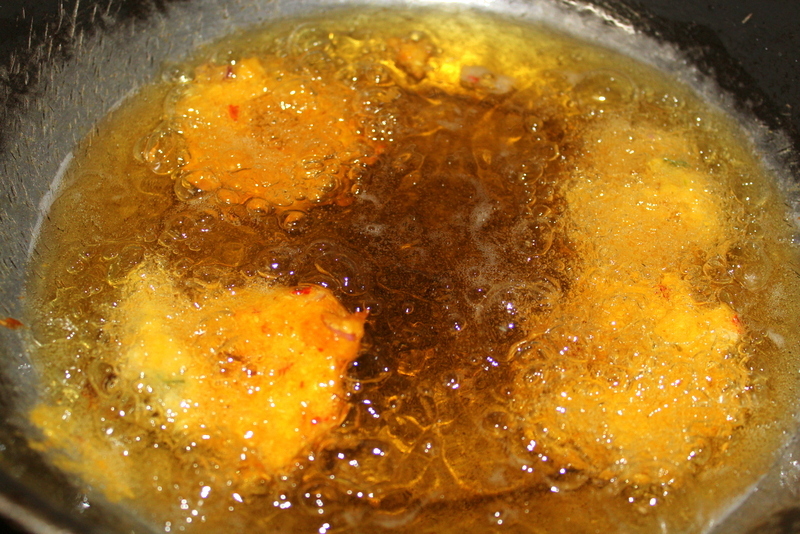 Add salt just before you are frying the vadas, so the batter will not get loose. Keep it aside for few minutes. Meanwhile heat the oil in kadai. 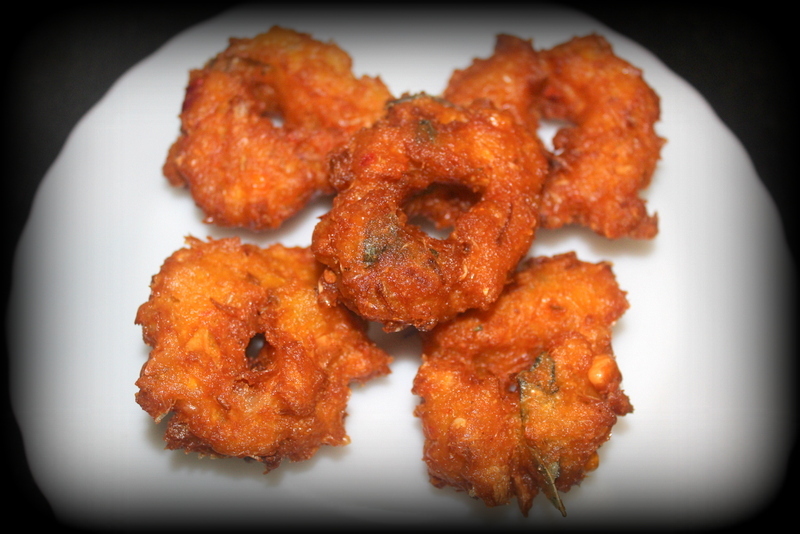 Once oil is ready to fry take small portion of the batter on your palm and press gently and make a small hole in the center like vadas and drop them slowly in oil for deep frying. 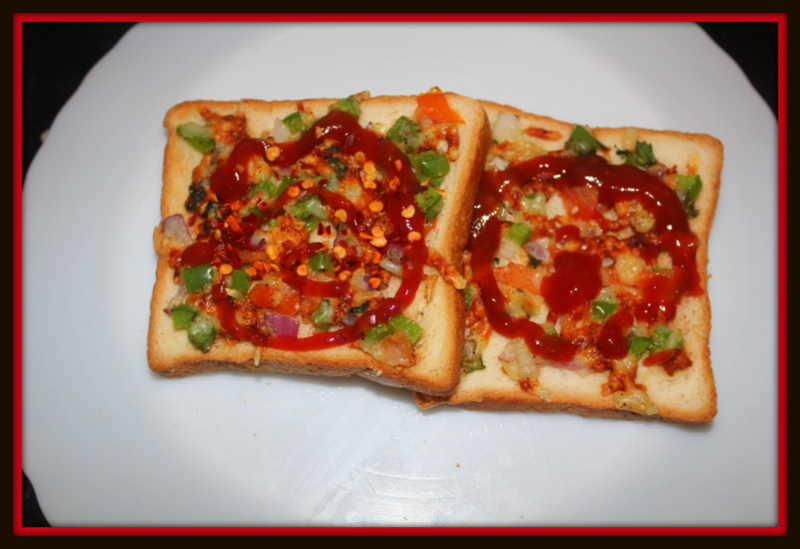 Serve hot with any ketchup or spiced chutneys! Making them in batches will brown them evenly. 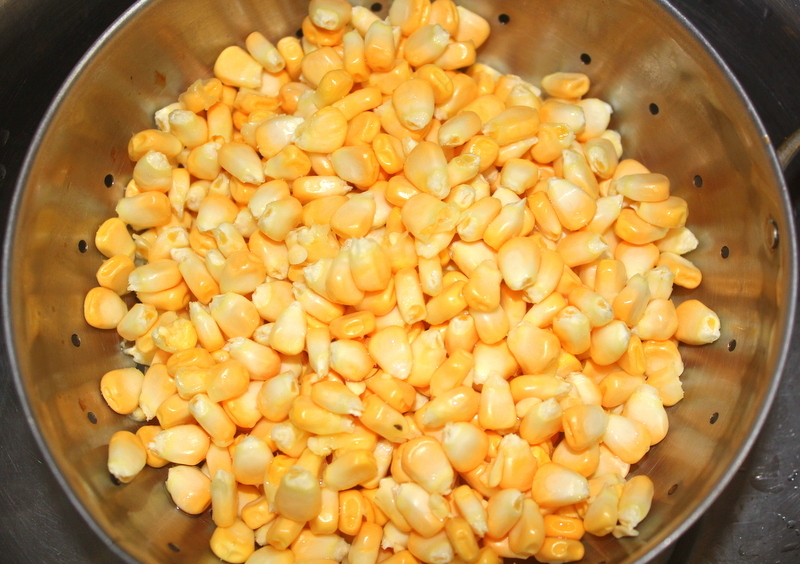 Remember not to make fine paste of the corn, when you coarsely ground them you can enjoy the crunchiness of the corn while eating. To make it more spicier you can add Cumin & Coriander powder. You can add some corn flour if you want the vadas to be crispier.